Final Fantasy XIII producer Yoshinori Kitase has once again re-iterated the point that the long discussed Final Fantasy VII remake probably won't happen, this time saying that it would take too long to make. If you're one of the long time FFVII fans wishing upon stars, wells and birthday candles in the hopes of seeing a remake, prepare to have your status quo absolutely maintained, as the official word from FFXII producer Yohsinori Kitase is, as per usual, 'probably not, but you never know'. 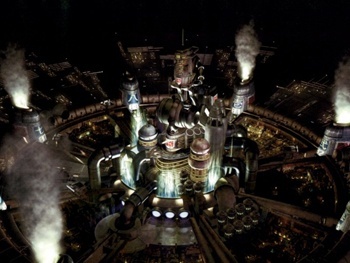 According to Kitase a next-gen remake of Final Fantasy VII would simply take too long to make: "If we were to recreate Final Fantasy VII with the same level of graphical detail as you see in Final Fantasy XIII, we'd imagine that that would take as much as three or four times longer than the three and a half years it has taken to put this Final Fantasy together," Kitase explained, "so it's looking pretty unrealistic!" He then went on to say: "If it were possible that we had all the right facilities and the right environment to be able to make and prepare a Final Fantasy VII remake within a year, we'd very much like a go at it." So yet again, the possibility of a remake seems highly unlikely, but not impossible, provided that Square-Enix can find a way to compress something that would apparently take fourteen years of development time into just twelve months. I can appreciate Square-Enix not wanted to completely dismiss the idea of a remake, but honestly, at this point, it just seems that the remake is just a way of keeping the Final Fantasy name in the spotlight.